A fanlisting is a place for all fans of a particular movie, actor singer, or in this case stage musical, to come together. It is a web clique that lists fans of a particular subject. Unlike most web cliques, a person does not need a web site in order to join. Fans from around the world submit their information to their approved fanlisting and they are then listed to show their love for the subject. Written by John Kander and Fred Ebb, the duo behind Cabaret, Chicago was directed by the legendary Broadway director/choreographer Bob Fosse and starred his ex-wife Gwen Verdon and Chita Rivera; both Tony winning stars. It seemed destined for stratospheric success. It opened on Broadway in 1975, although it ran for a respectable 936 performances it had the misfortune to arrive in the same year as 'A Chorus Line'. 'A Chorus Line' took Broadway, and the US, by storm and Chicago was swept away: too cynical; too dark; and altogether too off-side. It took almost 20 years for it's true potential to be recognised and fulfilled, with a revival opening on Broadway in 1996. Choreographed by one of Bob Fosse's muses, Ann Reinking, in his unique style the show was an instant hit. In 1996, it came to London's West End and has since been produced across the globe before being turned into an Oscar-winning movie starring Renee Zellweger, Catherine Zeta-Jones and Richard Gere. This is the fanlisting for the stage musical. 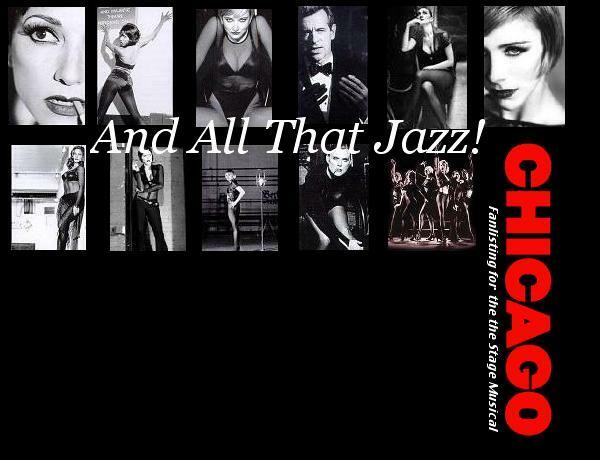 So if you want to proclaim your esteem for Chicago - The Musical to the world, this is the place to be.